عندما تزور هذه المدينة رائعة الجمال، ستشعر أنك في بيتك في Points North Apartments الذي يقدم لك إقامة متميزة و خدمات عظيمة. إن موقع الفندق الاستراتيجي، الذي يبعد 0km فقط عن مركز المدينة، يسمح للنزلاء بالوصول سريعاً وبسهولة إلى العديد من الوجهات المحلية المثيرة. يوجد العديد من المعالم السياحية الأكثر جذبًا للسياح في هذه المنطقة. كما يقدم Points North Apartments الكثير من الخدمات لإغناء رحلتك في المدينة. يمكن لضيوف الفندق الاستمتاع بالميزات التالية على أرض الفندق: واي فاي مجاني في جميع الغرف, متجر, توصيل من البقالية, خدمة سيارات الأجرة, تسجيل وصول/خروج سريع. تتضمن كل غرف النزلاء وسائل الراحة والتسلية المصممة خصيصاً لضمان الراحة القصوى للضيوف. يقدم الفندق مجموعة واسعة من وسائل الراحة المتنوعة، كمثل: حوض استحمام ساخن, ساونا, مسار جولف - ضمن 3 كم, حمام سباحة خارجي, سبا. مهما كانت أسبابك لزيارة المدينة، فإن Points North Apartments هو الخيار الأفضل لإقامة مثيرة وممتعة. يرجى العلم أنه سيُحجز مبلغ من البطاقة الائتمانية عند وصولك Penthouse. مكتب الاستقبال مفتوح من الساعة 8 صباحًا إلى الساعة 5 مساءً في أيام الأسبوع العادية، ومن الساعة 8 صباحًا إلى الساعة 3 ظهرًا في عطلات نهاية الأسبوع والعطلات الرسمية. يجب على النزلاء الذين سيصلون في وقتٍ آخر -غير الأوقات المذكورة أن يتصلوا بالعقار مباشرةً قبيل وصولهم؛ وذلك حتى يمكن إجراء ترتيبات أخرى. Stayed there 3 nights with my wife and daughter. I’m a surfer so it’s prime location for surf spots and great restaurants. Staff are really friendly and helpful, facilities were pretty clean. Couldn’t ask for much more on a short stay. Our stay here was perfect. We stayed a recently refurbished apartment. The apartment had everything we needed. It's beachfront and next to the mall. One of those that I would not hesitate to stay again. Thumbs up! Our apartment had recently been updated with a modern kitchen and we had fantastic views from the 11th floor. The pool area is huge and we are only seconds from some of the best surf clubs and pubs on the coast. This building is on the beach. 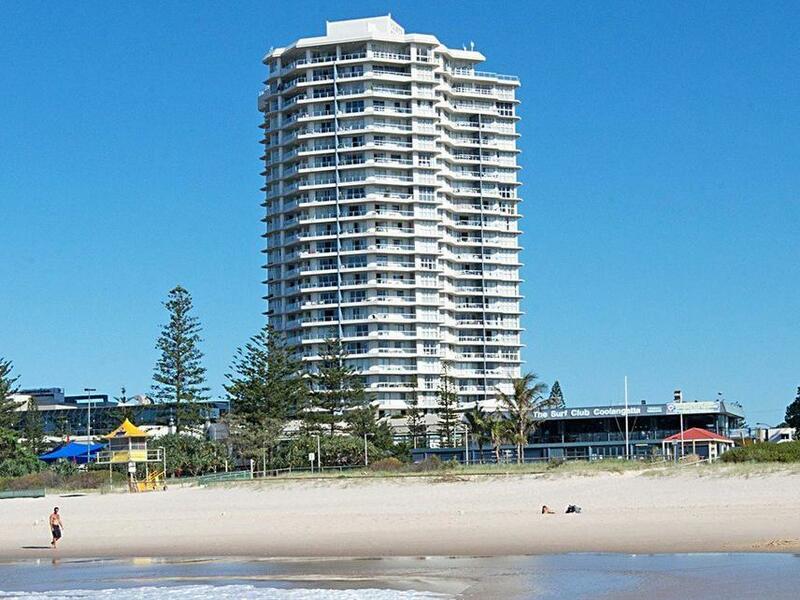 A stones throw from coolangatta surf club. Underneath the building is a great shopping area. The pool is great and tennis court. Check in and check out simple. Best hotel/apartment i have stayed in. Fantastic location and views. My only gripe would be that they're a bit stingy on things... ie. My room had half a roll of toilet paper and another half roll in the cupboard and beyond that you had to purchase your own. The chux in the kitchen was like a 1/4 size and they asked you to clean up as you leave (inc drying abd putting away dishes)... but they dont leave any surface spray or anything... so you're wiping everything with an oily dirty mini chux and drying dishes with the dirty tea towell ready for the next guests. I would think turn the dishwasher on as you leave would be a better rule. We have stayed here multiple times in different apartments and are always so glad we came. Perfect location, always super clean, comfy beds. Spa and pool are superb. Residents in building very kind. Obviously a really well run place. We had a 3 night stay recently travelling down from Brisbane for my husbands birthday. Unfortunately one of the days, tiles were being drilled on a floor above us, They did have a notice on the wall and in the lift. It would have been nice if they had rung us and told us, we basically lost one day of relaxing because of the noise. We could have moved our dates had we known before hand. 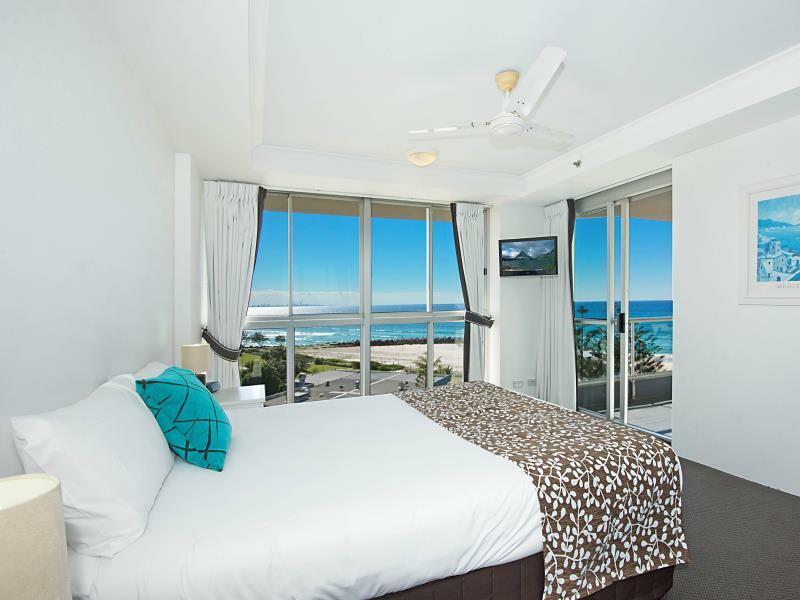 Our 2 bedroom apartment was ideal; beautiful views of the beach and ocean, luxurious furnishings and so quiet! Bathroom fittings a bit old, but the air-conditioning in the lounge was great. Ceiling fans in the bedrooms were good but it was an unusually hot weekend so the bedrooms were a bit warm. Staff are very friendly and helpful. My second stay there and I would certainly go back again. We had a great time at Points North. Your really can't fault the location - very handy for when the storms hit and we could get inside to shops and restaurants below without getting wet. I was disappointed when I accidently left 3 summer dresses of mine hanging in the wardrobe and was advised by the staff at the desk that they cleaner had not 'found them'. They did however find a couple of items I left of my babies. This is a disappointing and I've never had this happen when I've left anything at a hotel previously (unfortunately I had to pack up on my own with 3 kids as my Mum had to rush back to brisbane due to a family emergency)....so this put a dampener on my stay. Great location with everything in walking distance. Room are big, bright and very spacious. Only complaint would be only 1 split system aircon in the main living area, which I don't think would cool the entire apartment on a hot day. Needs some updating in decor of apartments., bathrooms etc. Look past that and enjoy very clean well managed accommodation. Security spot on in both car park and building . Friendly and helpful staff. Great restaurants around. Especially Xenia Grill. Family renunion dinner was amazing. Agoda easy to book through. Thie is the second time of staying here and we will certainly be back. The only slight niggle was that the bed felt it could do with a mattress topper for softness but maybe that's my bones getting old. We had a real problem trying to find the location in Marine Parade. It's not there. It's in Dutton St!! Just what we didn't need after a long, hot drive.After we booked in, we went to park the car. The sensors had a sign saying it wasn't working. How were we supposed to know that the sign referred to a different sensor! We finally got to the room which was basically clean, but getting tired. Large piece missing out of the table lots of chipped edges. Carpet is tired. We enjoyed our stay, but this is NOT 4 star. We have usually stayed at Meriton Apartments in Southport which is a whole level over Points North. In my opinion it is overdue for a refit. Nice pool. Friendly staff. Clean. Stay was good and staff are very friendly. The accomodation was clean and room with view was wonderful. The downfall was the level of noise from inconsiderate neighbours from venues neat by! Very difficult to sleep with drunks being extremely noise at all hours of the morning on both Friday and Saturday nights. Perhaps it can be more pleasant if they double glazed all windows and sliding doors. 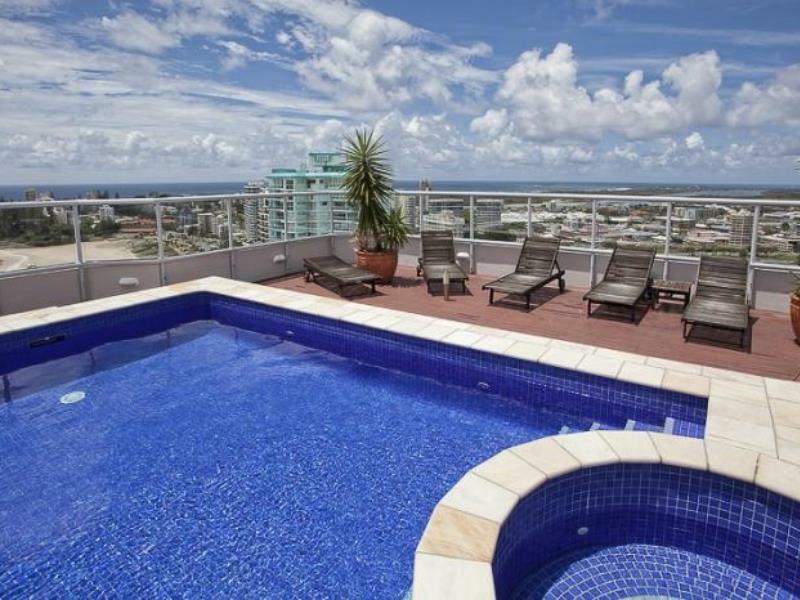 The apartment is ideally located with shops and restaurants nearby and the views were amazing. The 2 bedroom apartment was large, clean and comfortable, the staff friendly and helpful and I will definitely stay again. Comfortable stay and convenient to buy necessity with super-mart and restaurant just right below the apartment. Access to surfers paradise may be just 20+km away but it took quite a lone time to drive there as the road are full of traffic lights along the way and speed limited to 60km/h in most part of the route. Stayed with my friend for a couple of days. It has the most amazing view from balcony. Everything is right there for you. Great resturatns, walking track and swimming pool. Would definately come back again.